A brochure is usually not high when discussing marketing products in general. In this era of online marketing this is more so. But for some situations, nothing can beat the humble brochure. So where exactly do you feel lost without a brochure? Where only your business card does not quite cut it? Great material for your sales person to carry during their next visit. 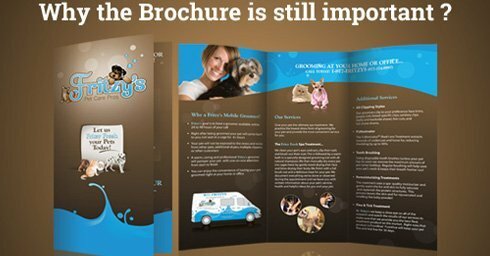 Leave a professional brochure at your potential client along with your business card. It is difficult to just toss a well made brochure away. Brochures are the de facto choice for offers and coupons for almost any business large or small. Even Google uses them to market Adwords to businesses. When you are promoting your product or service in a trade show, you need to give people information in a size which has enough in the details and is easy to carry. When you want to thank your customers and send mail in print for special occasions. You need space to say enough without dragging your point and look beautiful while doing it. Brochures are perfect to layout a 2-4 day conference program or a meeting agenda in a perfectly arranged, easy to read format. One small but important detail which makes your conference or meeting a success. Business cards can only vary so much. But brochures, the sky is the limit. Standard sizes and folds or any innovation you want to create. The brochure is the closest you can get to greeting cards in the business world. So, online may be slowly overcoming print when it comes to marketing but brochures still rule in the world of offline marketing.